This here is the redesigned Stats Screen. Gone are the obtrusive orange and tiny text. 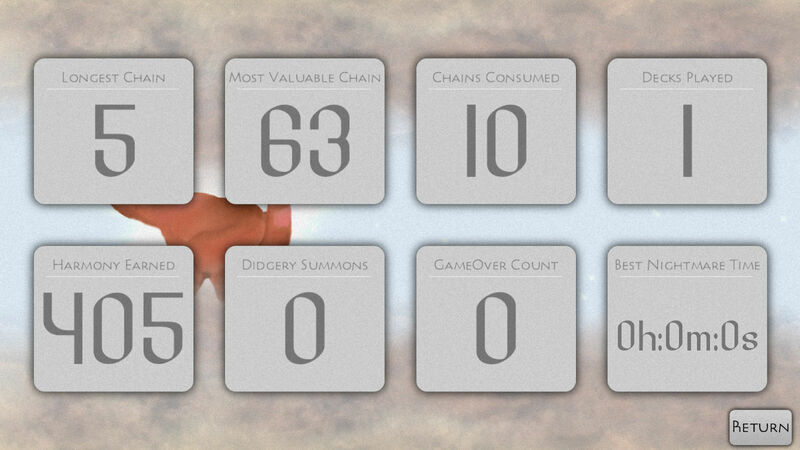 Since Didgery no longer operates on a level system, the Stats Screen is now accessible through the main menu instead of popping up after every level.